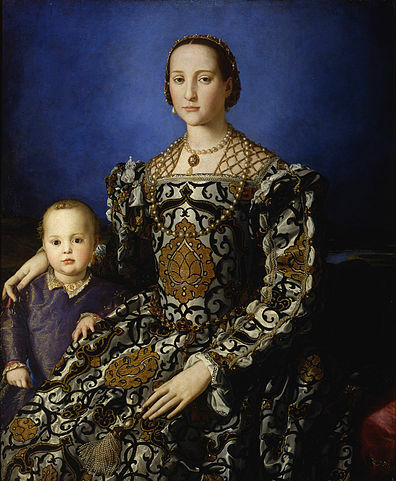 The artist is Agnolo di Cosimo (1503-1572), more commonly known as Bronzino was key figure in the very vernacular Mannerist style of Florence during the 16th century. A pupil of Pontormo and fellow Florentine Andrea del Sarto, Bronzino’s work is aesthetically idiosyncratic. The mix of High Renaissance and Mannerist qualities (like those of Michelangelo) paired with his own peculiarly elegant style make him something of an anomaly. Portraits in vivid polychrome, artificial looking-texture and emotionally restrained sitters in formal positions characterise his oeuvre; both alluring and reserved, keeping the viewer at a distance. His religious and mythological works are original and often distinctly eccentric. 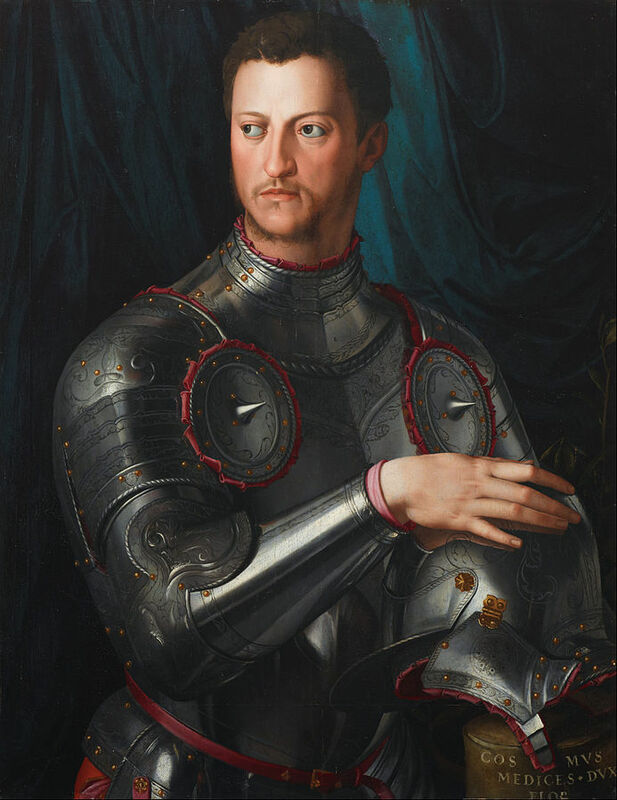 Bronzino’s most important patron was Cosimo I de’Medici, prince of Florence and Grand Duke of Tuscany, whose commissions cemented his fame and reputation. The majority of Bronzino’s masterpieces can be seen in the city’s churches and collections. Giorgio Vasari considered him the most important artist of his generation, claiming him ‘a Florentine painter truly most rare and worthy of all praise’. 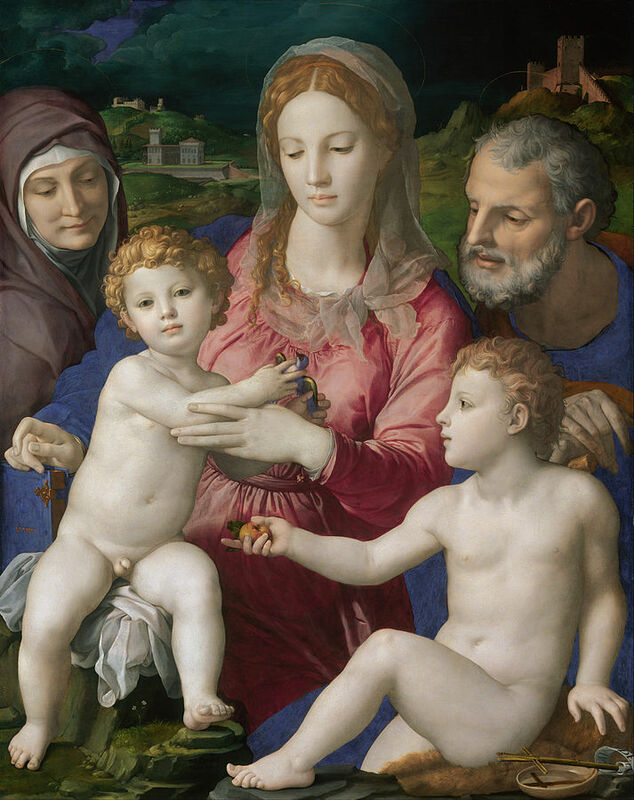 It was with Vasari that Bronzino helped to establish the Accademia del Disegno in Florence.